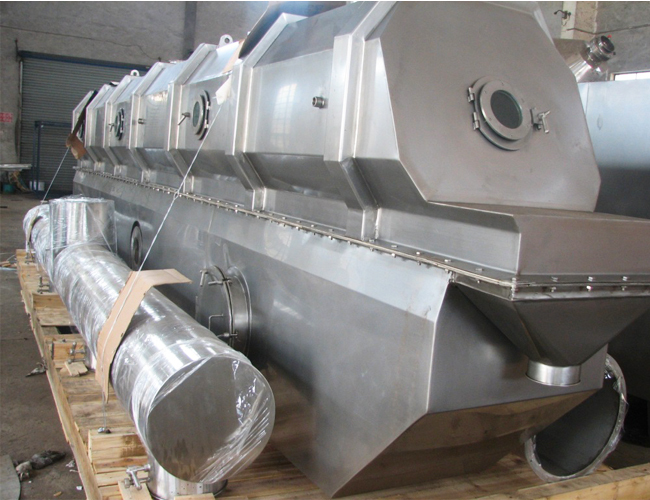 Raw material adopted by our drying plant is fed into the material from the inlet of the drying machine and moves forward continuously along with the level of fluidized-bed under the action of vibration. 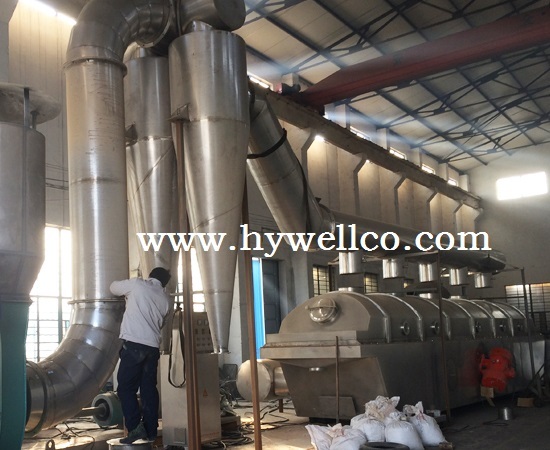 The hot air passes through fluidized-bed and carried out heat exchange with damp raw material. Then the damp air is exhausted out through cyclone separator and duster. The dry raw material is discharged through discharge outlet. Salt and Foodstuff and construction materials industries: Lees, monosodium glutamate, edible sugar, edible salt, mine residue, bean, seeds and so on. 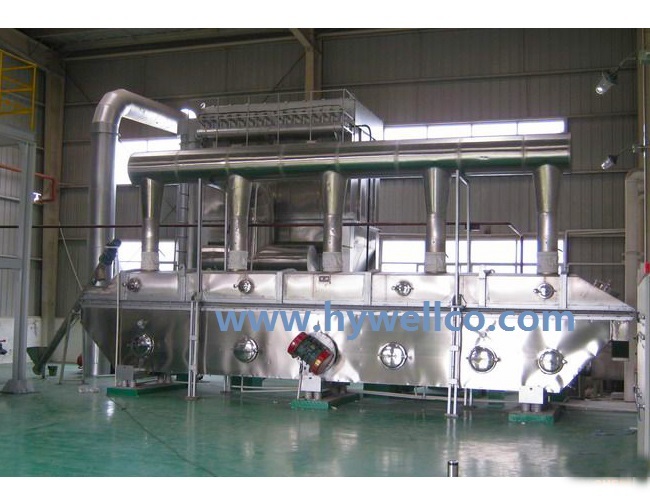 The machine can be also used for raw material to add up damp or cooling and so on. The Main technical datum is for reference. We also produce and design product as per customers' requirement.